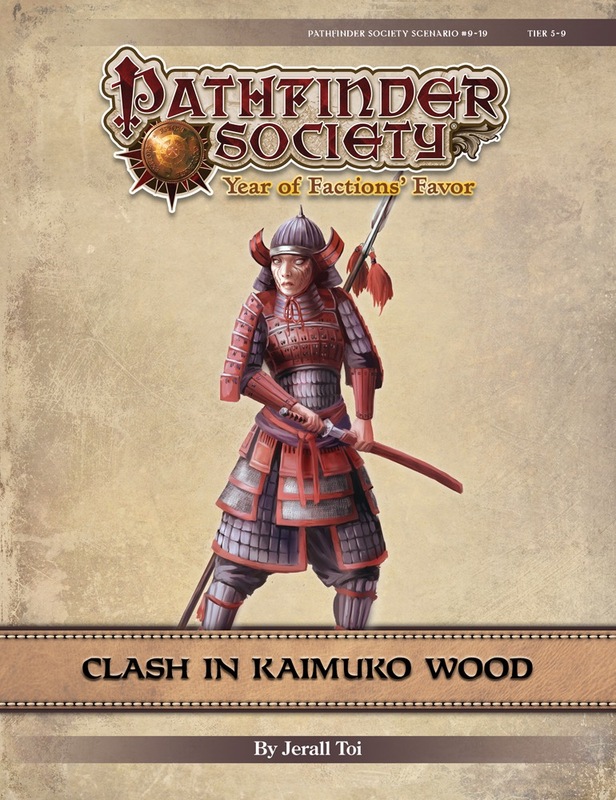 On a recent foray into Kwanlai, the Pathfinder Society learned that a conniving being from the Abyss has been targeting righteous communities on the border between the tengu nation and Tianjing to the south. In light of these discoveries, Venture–Captain Amara Li has asked the PCs to lead a company of tengu soldiers to a fort near the northern border of Tianjing to lend aid and provide information. When the PCs arrive at the fort, it quickly becomes apparent that all is not well. As blight and corruption creep out from Kaimuko Wood toward the fort, it falls to the PCs to rally their allies and lead the charge. Viimeksi muokannut GhostDeer, 13 Tammi 2019, 09:20. Yhteensä muokattu 6 kertaa. Muistaakseni tässä oli vielä mainittu story linee Silver Crusade factionille...? Hahmo levui 6-8 tasoille löytyy, mieluusti lvl 7 capu tulis mukaan. Hahmoja on tosin vain lv 8-9 niin pitää katsoa jos porukka haluaa alempaan tieriin? Sir Thomas Rose tulee mukaan, lvl 5 tai 6 cleric. Ei haittaa vaikka pelattaisiin ylöspäin. Tulemalla paikalle vähän etuajassa saa myös hahmolleen Harrow luennan! Mä voisin tulla palalla mukaa.